two cities. The City of Takamatsu aspires to be" a city in the Seto Inland Sea featured with cultural fragrance in the air and bright glow" and is implementing various projects centered around our policy of "building welfare oriented environment where citizens can enjoy active lives. It is our great pleasure to have this opportunity to hold this event. In closing, I would like to express my heartfelt gratitude to all of those who rendered us tremendous efforts including NPO Heart Art Okayama, Kagawa Prefectural Chubu Special Needs School and families and artists who took part in the ArtLink. I also hope that many people will develop more understanding toward people with disabilities and more friendship with them.
" Three Hands Becoming One " Sae-san’s work is very energetic and alive with color and expression. She fills her work with princesses and pop stars, fairytale characters and animals. Her work jumps off the page and stimulates the mind. From the first time I saw Sae-san’s work I knew that working with her would put a smile in my heart. Itami-san and I had collaborated together 2 years ago for ArtLink Okayama and had produced a collaborative work of art. Itami-san met and worked with Sae-san before I arrived in Japan. The three of us finally met and worked together on Shiraishi Island. Starting the production of this work of art. Sae-san’s work is very bold, so Itami-san and I took different directions in relating to it. Itamisan took a graphic approach to communicating with Sae-san’s art. He enlarged and cropped the images, giving them a dynamic vision. I remembered the first time I saw Sae-san’s art and was captivated by the degree of detail and information in each piece. I decided to approach the work as if I were cataloging her different graphic elements. We used the Kakejiku as a way for the three artists work to be framed and communicate with each other as one piece. Two Japanese, one American. Thus the title: Three hands becoming one.
" Prayer " F: I was puzzled at first because I could not think of anything we could do together and I had no clue as to what Seiko wanted to do. O: ............. . F: You were very nervous in the beginning, weren't you? O: Yeah. F: I could tell right away that she was good at making small items. Her sense of colors is excellent. But I wanted her to take a challenge and make a large work without worrying too much about details. You felt soo good after making something big, didnﾕt you? O:It was good. F: Anything else? O: I tried and did it. F: The production of ArtLink coincided with the start of your job at Hanamaru Udon. I thought it was great that you hurried up and did all the rest of work to finish during summer holidays. You applied paint on nets by using Glass Deco technique that you are familiar with and later removed them. Then you hanged them aiming to have effects of transforming the space. You mentioned that it looked cool as light came through and they glittered. You like thing that glitter and sparkle, donﾕt you, Seiko? O:Yes, (Laughed) F: Can you grade the work you made? O :60. It was OK. F: Come on. I think you could give yourself 85.
" FOOT STEP - Good memories - " Art is not something you create, but dwells within. That is my pet theory. So I did not want to be occupied entirely by making things with Shotaro. I wanted to visit different places with him also, for instance Nagi Museum of Contemporary Art and Setouchi International Art Festival. Art has power to question you about values you live by day to day and provide you with a new perspective. It may help you to conceive something you have never thought of or notice, or something you have never paid attention to. You need a new perspective to live better. I was hoping our art work would provide us with that type of opportunity. Projected are images having captured the art festival we visited together and the family in their day-to-day life. Foot prints on the wall are metaphor for the journey that Shotaro has taken with the family thus far and contain my wish that their journey would continue with them walking side by side.
" HIROSVIDEO " We compiled all the things Hiroyuki likes just likes collage. They include trains (recently he likes Anpanman Train of JR Dosan Line), numbers, ramen noodles, music (ranging from high key ballad to dance music), Karaoke singing, train time tables, cooking, sport drinks, videophone, and lots more. We spent time together. Hiroyukiﾕs favorites that outpoured from his in-brain super computer were collected during that time and structured into HIROSVIDEO.
" Angel Rabbit " Seeing Angel Rabbit that Mai drew, a simple association of "angel" equals sky crossed my mind. I suggested that we create a soft sculpture (balloon work). "How big can it be?" A hidden work or concealed idea kept in the mind of a high school girl would be lifted in the sky and look down on the audience below. The heart of Mai who looks up and those of the family and friends would influence people around them and joined hearts would move together to create a big wave. It would appear to embrace as an angel would. When Mai was drawing a balloon, her spiritual condition might have been in such a way that she was facing another herself who is concealed deep inside her heart. I was very curious and wanted to learn about it as an artist. It is my hope that Mai's message would come across and a new social value be created by keeping her balloon continuously exhibited in various events inside and outside Kagawa Prefecture even after the ArtLink Exhibition finished. Tomoko TANO Born in Matsuyama, Ehime Prefecture. She worked as an elementary school teacher then became involved in the system development at the Capability Development Center of Kibinosato in Okayama Prefecture, a institute for persons with intellectual disabilities. Since September, 2006, she has been serving in the current post. She has been planning creative projects for institutions for persons with disabilities, those for the elderly and parent-child clubs in Okayama Prefecture. Since 2007 together with a non profit organization in St. Petersburg, Florida, she has been co-organizing ArtLink exhibitions and forums, while continuing a joint research "Culture Link", a creative project involving the elderly on Kasaoka Islands in Seto Inland Sea where issues of low birth rate and aging have been progressing seriously. Other activities include: sending artists to schools and research on the status of art education. These are carried out under a theme of everyday life that involves rendering/ expression, food and culture aiming to compare traditional cultures against new values that can be created through close interactions between different persons transcending disabilities/ non-disabilities, age and genre. Sae ISHII Born on June 2, 1994. She is living in a dormitory of Kagawa Prefectural Chubu School for the disabled. She is a twin with autism and the oldest of the five children. Once she finds white paper with her favorite type of texture, she keeps drawing non-stop. Her favorites are Karaoke singing, Doraemon, dancing, unicycle, and kendama. She dislikes sweet beans (anko) and quarrel. Age 24. He is an assistant to a cartoonist after completing a course at Chugoku Design College. High function autism. 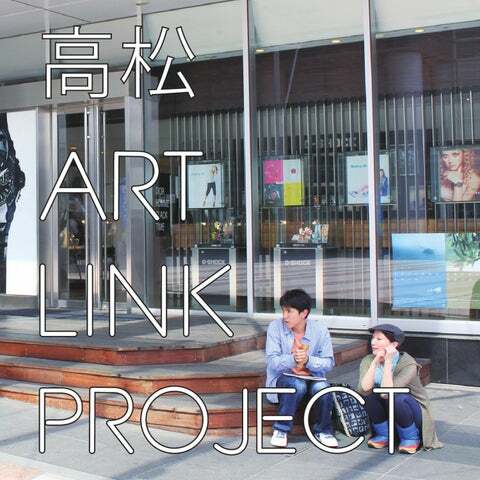 He met David through the ArtLink Project in Okayama. During a trip to Florida, he was asked if he wanted to pair up with David in ArtLink and they have been enjoying the interaction. This year he supported Ishii in Takamatsu. Living in St. Petersburg, Florida. He is an artist and columnist. He is active in artistic activities throughout the U.S. and has been involved in creative activities of NPO Creative Clay as a volunteer for over 10 years. Since 2007 he has been keeping collaboration through the exchange of sketch books with Kotaro Itami. Born on May 7, 1982. She has been commuting to "Do Yamabiko" after completing a course of Kagawa Prefectural Chubu School for the disabled. In fall, 2009, she became sick and has started a slow slow life. ArtLink has broadened her horizon. As someone happened to talk to her about applying for a job, she is working very hard for finding a jot with a challenging spirit of "capturing an opportunity if there is one". She is fond of history and interested in Kitora Ancient Burial Mound. She went to the mound to see the four deities, and muttered, "why so small?" The statue of virture priest Kuya of Rokuharamitsuji, Kyoto, has left a long lasting impression on his heart and he has been making human shapes ever since. They take shapes of humans in statues of a person who stands frozen in place facing something invisible, of a person who holds a hand over something, and of a person who prostrates. Each statue faces its own challenge. He is exploring new ways of expressions together with Oka. I can sense their future. Artist. 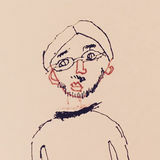 He produces works depicting life chain primarily in Okayama. Recently he exhibited an installation using soap and salt. He is interested in potentials of art and community and was engaged in the first three ArtLink projects. His pet idea is that art is not something that is created, that is something that dwells inside. We could create values to substances and actions and their values are not eternal. What should we see and feel in our life? He wants audience to come and get a feel for it themselves in person. Born on August 26, 1991. He completed a course of Kagawa University Affiliated School for Special Needs' Students, and is very active in work and art. In 2007 he took part in ArtLink and went to St. Petersburg to visit with an NPO in a local community with his work "Kotoden". He likes trains such as Kotoden and JR. He often travels and collects images. He always carries with him a MP3 to listen to and sings his favorite songs along. She was born on May 22, 1981 and graduated from School of Visual Arts, New York, N.Y. in 2005. She is creating primarily interactive works in Okayama and New York by combining and separating installation, movies and paintings. In 2009 she exhibited an installation "Communication in Between" in which people push resin wall from both sides. She was born on June 12, 1992. After completing a course at Takamatsu Municipal Shiun Junior High, she is now studying at Kagawa Prefectural Chubu School for the disabled. She loves animals with long ears, particularly she loves rabbit drawings. She always carries stuffed animals. She goes to school by bicycle, draws "happy" rabbits in whatever situation she finds herself in. With a stuffed animal in her hand, she starts monologue. She has decided to join the ArtLink hoping to encounter with an unknown world. Culture is keeping up with evolving times. Characters that transform from self-projection and idealism to the expansion of reality might be a second body which helps humans to move into a totally new sphere. He tries to explore social reality through a perspective of characters which exists in a staggering gap between the reality and fiction. Since 2007 he has been living in Tamano, Okayama Prefecture and carrying out activities to explore relationship between a local community and art/artist(s). The expression of the two involved in the ArtLink involves families, people around them and expands beyond subjects vs., objects, active vs. passive, self vs. others while connecting three dimensionally. It created flexible relationship. We hope that many people will have an opportunity to see the infinite expanse that the two people created through their works on a oneon-one basis. The professional artists paid attention to the day-to-day life of their partner and try to understand what the partner liked, what it was that he/she did repeatedly, messages he/she waw eager to convey. The outcome of their accumulated efforts transformed into enormous force and appeared itself in a form of artistic works. What one feels through the works will be projected and fused into the heart of each individual who saw them. Just like the Seto Inland Sea that embraces life as is, in that very moment eternal power of art lets values be recognized as is and become connected in a community. I am convinced that contemporary social issues trigger art and art changes a society. This is a concept that was brought forward by the presence of the invaluable partner and the relationship between those two individuals. By returning this back to the local community the potential of each person can be realized and very profound values of art can be reflected in a daily life. Looking back on the days spent for this project, I feel very much spiritually enriched in a similar way as I was embraced by mild breeze in Takamatsu. In closing, our deepest appreciations go to all those people who invested their time and efforts into ArtLink Project in Takamatsu, 2010.